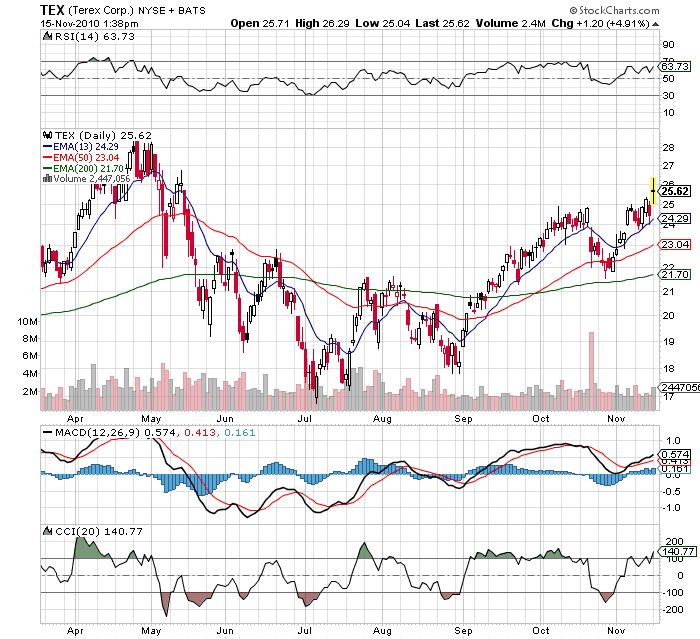 TEX now enters the recovery phase of its business cycle with a rock solid balance sheet. After the close of the CAT deal, TEX will have $1.8B in cash to either pay down debt or use for a strategic acquisition. Either way, while the market is enamored with mining equipment makers it appears that TEX management has the used the opportunity to sell those assets for premium prices and can now use that cash to shore up it's more focused business lines. 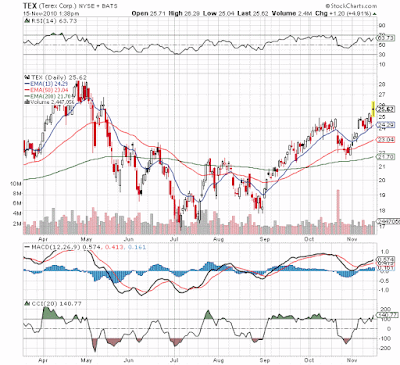 From a technical standpoint, TEX has broken above the October highs of $25 and will likely challenge the April highs at $28 near term.